Easy Steps to Follow for Securing Your Computer - 3 Must-Do Tasks for All Computer Users. A Beginner's guide to securing a system from crash, virus, and online thefts. Useful tips for securing a computer system, mobile phones, laptops, notebooks, iPads, or any online devices or off-line systems that are not connected to any networks. 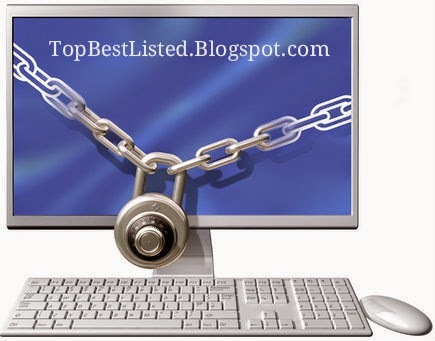 Once you have purchased a computer or laptop you need to know that while operating it everything is secured and for this reason we will indicate you some easy steps to take and make sure that you secure your computer properly. This will help you stay away from those threats that come with both online and offline activity. So check down below for these 3 steps to make sure that no matter what your device and the data it contains will be safe at all times. Here are the 3 basic tips for naive users who want to make sure that their computer system is safe and secure from any unwanted online threats, system crashes, viruses, and hacks. #1 Backup your all important files and information in the system. The first step would be to always make sure that you back up your files every one week. You see, there are so many files you work on and save within your computer, so you wouldn't want for all these to suddenly disappear one day when a virus has made its greedy way inside your system. You can be left without your important files that you've been worked so much on. In order to backup your files you can approach various ways to do this. One of them is to use a USB flash drive to send all your files in there or you can as well make use of an external hard drive. To backup those files you operate with at work, you should take advantage of a network file server for securing your computer against external threats. #2 Updating your system regularly. The next thing that you can do for securing your computer is to update your operating system. Not many computer users are aware of how fast time goes by and in the meanwhile the status of their operating system becomes old needing as such an upgrading from the Microsoft company; this is the moreover important for those operating with Windows OSs. In fact, all these systems are frequently presented with security updates and for this reason you need to ensure that your system is updated with the latest Microsoft releases in the form of patches and service packs. You can decide whether you want them to be automatically updated or you want to install this manually. Either way works fine so long as you decide to have this done for securing your computer. The last step that is also easy to take for securing your computer, is the installation of a firewall.. This feature is usually a built-in feature with Windows operating computers. This may prove to be enough for all those users who do light computer work that doesn't involve an in-depth internet activity. You should also consider using a decent antivirus software program from our list of most popular antivirues software programs on the Internet. If your daily work relates to heavy online access or you simply plan on downloading many programs that are found online, you need to add more firewall protection for securing your computer. This is what corporations will do for their computers because they rely on a wide range of files and data and they can not risk to lose them all in case an online threat interferes with their files.